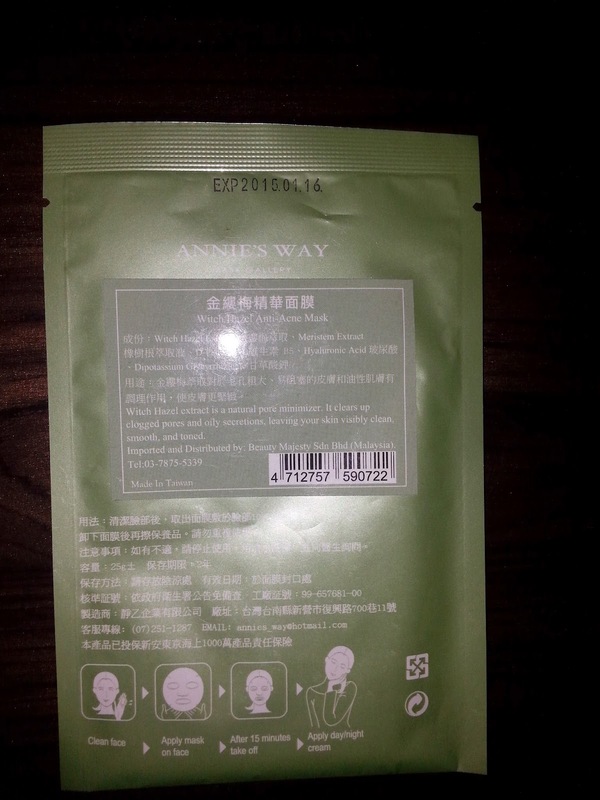 This is a sheet mask from Taiwan called Annie's Way. There are various series for the mask. 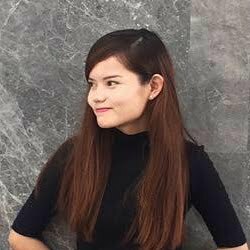 The main series are made of the whitening (you may read about it here), the hydrating, the aging, the sensitive and also the anti-acne series (I am not too sure about the mentioned series as there are a lack of information from the pages I have viewed online). 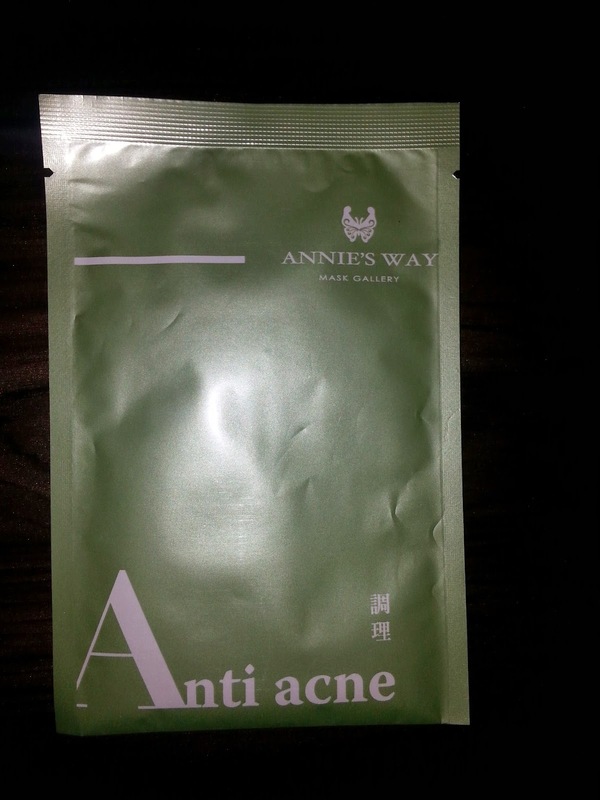 The green packet that I have had used is for combating acne. 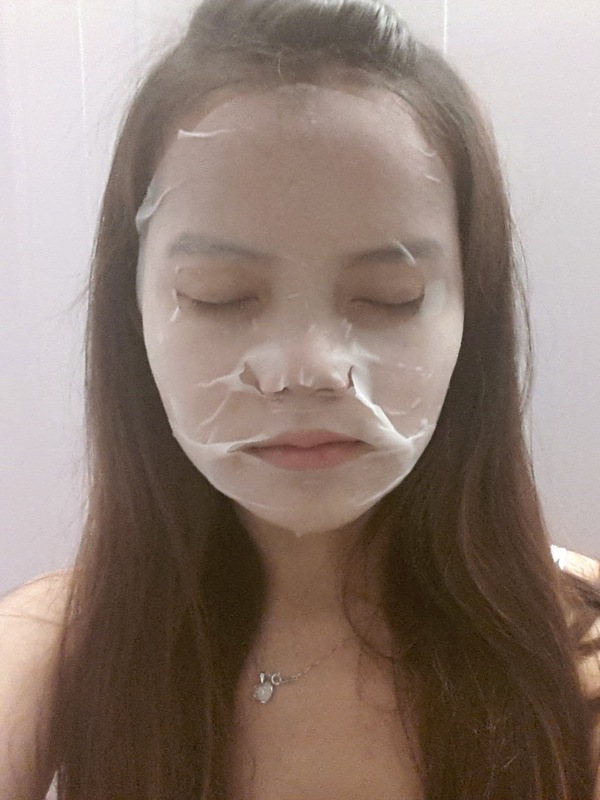 There are around 4 or 5 kinds of different masks with different purpose/ingredients under the acne series too. Witch hazel extract is a natural pore minimizer. It cleans up clogged pores and oily secretions, leaving your skin visibly clean, smooth and toned .